I have been a huge fan of the ground-breaking 3D-printed Makie dolls ever since my review of Glythia back in September of 2013. I only had two substantial criticisms of Glythia: she was prohibitively expensive (around $180 with shipping) and her facial features are highly unusual. The Makie Lab did a wonderful job of enhancing the appeal of the Makie faces with their 2014 "Cutie Face" release. My Cutie-faced Makie, Effie, is one of my favorite dolls in the whole world. Effie accompanied my family on our epic trip to Edinburgh, Scotland last year. I could not have asked for a better doll companion. Recently, the Makie Lab dramatically reduced the price of their dolls--effectively fixing all of my critiques of the original concept. The price reduction came with a change in quality, though. Makie dolls are still made with 3D printed faces, but they now have plastic bodies. Also, the customization options for the faces are not as extensive as they were at the start. I went to the online Makie Shop to check out this new approach and found both the ease of customization and the price...uh, a little addictive. Ok, a lot addictive. Over the last four months, I've managed to accumulate a new female Makie in each of the three available skin tones. In this review, I will show off my trio and talk about what has changed (and what has stayed the same) with these delightful dolls. 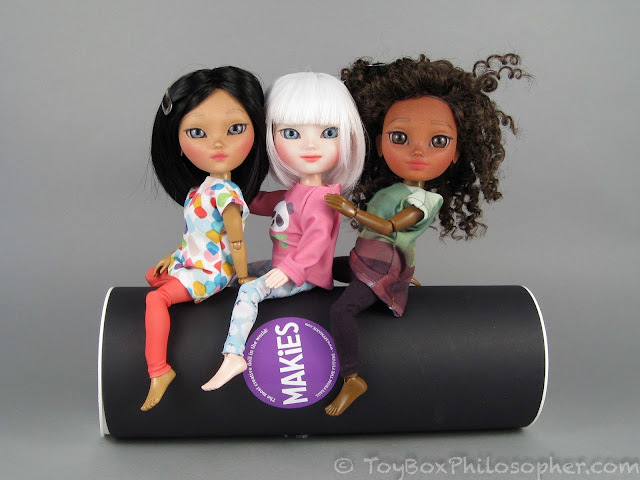 Three new Makie dolls, $78.02 each (including shipping). It seems impossible to me that it's already December. The sunny, 50 degree weather here in Maine certainly doesn't help me wrap my mind around the fact that there are only 16 days left until Christmas. I had at least five dolls that I wanted to review before the holidays, and while that won't happen, I do have an interesting newcomer to show you today. She is called a Star Darling and is designed around a theme of wishes and magic--which I figured would help me get into the right mindset for this time of year. 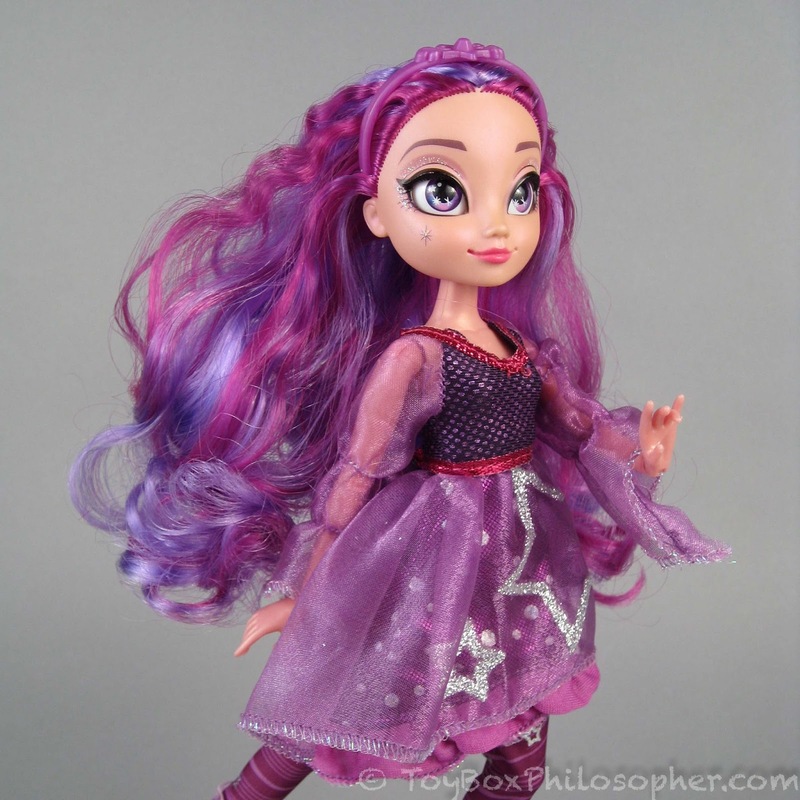 The Star Darlings are characters in a series of Disney fantasy books geared towards 8 to 12-year-olds. There are currently two books available for sale and an additional four books ready for pre-order. Five of the characters from these books have been released as dolls, and they can be found at the Disney Store for the whopping price of $29.95 each. Disney's Star Darlings "Sage" doll, $29.95.